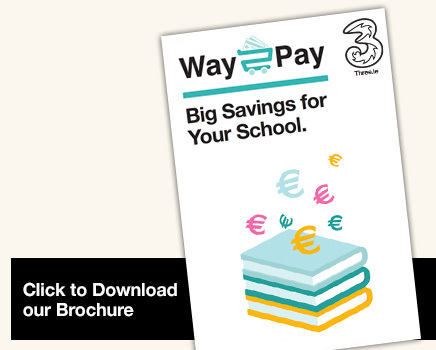 Way2Pay is Ireland’s fastest growing cashless payment solution for schools. Parents can ‘pay by text’ instantly on their smartphones with a few simple clicks. Why Choose Way2Pay from Three for your school? Your school can become completely cashless. Let your teachers focus on teaching, not banking. Instant SMS and email receipts to parents, and real time reports show schools exactly who has paid. Easy for schools and parents to use. Improve parent-school relations with options like paying in instalments. Free dedicated telephone support team. We looked for a system to make it easy for parents to pay and virtually cut out the manual handling of cash in school offices.